Acting Director of Police College Chan Man-tak presented certificates to 17 officers at a graduation ceremony of a training course of the Mentor Police Constable Scheme on October 26. They were appointed as Mentor Police Constables after completing the three-day training course. 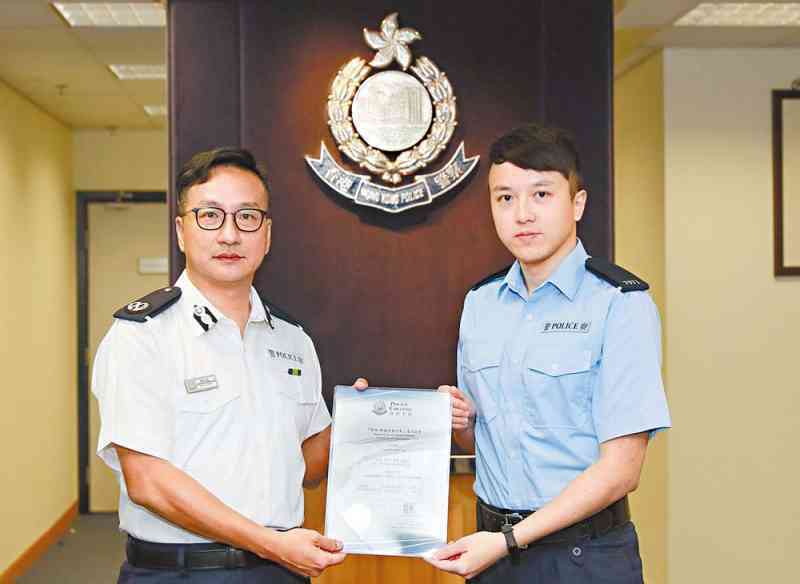 Mr Chan encouraged the Mentor Police Constables to remain steadfast in carrying out their duties, set a good example for the new Police Constables (PCs) and pass on the torch to them. He emphasised that the scheme would not only help the new blood adapt to the working environment, but also enable them to discharge police duties more effectively. In addition, the scheme will help foster a long-term working relationship between the Mentor Police Constables and new PCs.